Have you ever heard the Call to Prayer? Where in the world is the first Call to Prayer recited? The adhan is recited for compulsory prayers. 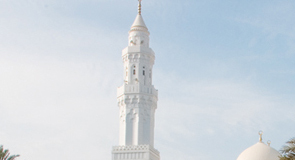 If the adhan that is recited from the minarets of the mosque has been heard a separate adhan is not read for the prayer to be performed in the home. If a person is far from the mosque and cannot hear the adhan or is outside a settled area, then the adhan is recited.